Children and their parents will participate in this Shabbat service gathering with songs, games, and snacks. 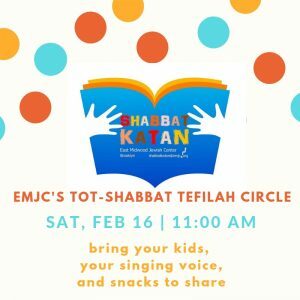 Please bring your kids, your singing voice, and some snacks to share if you can! Remember, all snacks must have kosher certification, or be fruit or veggies.